And then on the next screen enter your information. We’ve added arrows so you know which button to hit. 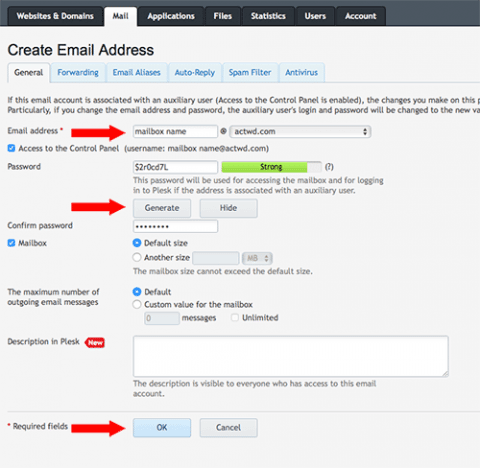 We recommend using the Generate button so your email remains secure and less likely to get hacked into. We never recommend reusing passwords.